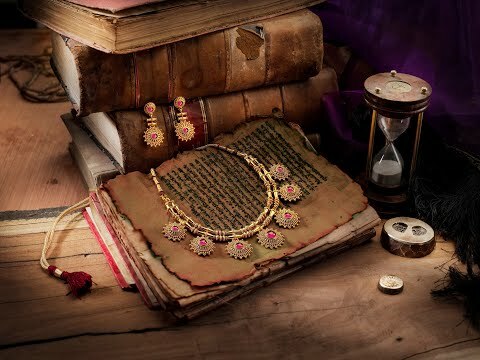 PUNE, India, April 4, 2019 /PRNewswire/ -- The heritage jewellery house, PNG Jewellers revisits its 187-years-old rich legacy by launching their newest 'Katha Collection'. 'Katha – Jewellery from the golden era'. The collection represents the age old traditional techniques and soulful craftsmanship of jewellery making by artisans. This jewellery collection is a tiny effort of bringing back those classic motifs and designs in contemporary layouts for today's customer. Established in 1832, PNG Jewellers has evolved in all respects to provide personalized and quality service to their loyal customers. The ethereal collection brings to life iconic designs using more than a century old techniques known as repousse and chasing. These jewellery designs signify the flawless integration of traditional and new age jewellery, blending effortlessly with the elements of design and innovation. Inspired by more than 100 years of heritage of the brand, each design of the exquisite pieces is crafted intricately to depict the glory and grandeur of the royal and rich history of India. Katha collection is available at all 'PNG Jewellers' stores across India from 3rd April to 12th May 2019. To mark the two special occasions, the collection unveils on Gudipdwa and is available till Akshyatritya. Also, customers can avail up to 50% off on making charges on diamond jewellery. 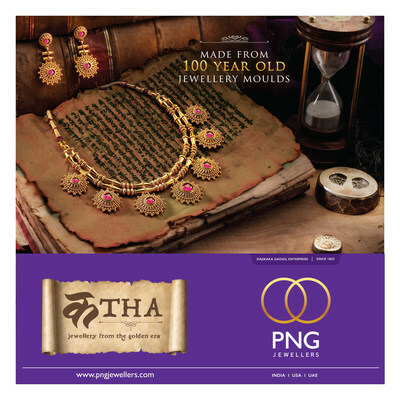 PNG Jewellers is one of the most reputed jewellers in the country, with over 187 years of excellence in their creativity and their warm service for the customers. Under the leadership of a strong visionary Mr. Saurabh Gadgil, P. N. Gadgil Jewellers Pvt Ltd is creating a brand that is reaching out globally.